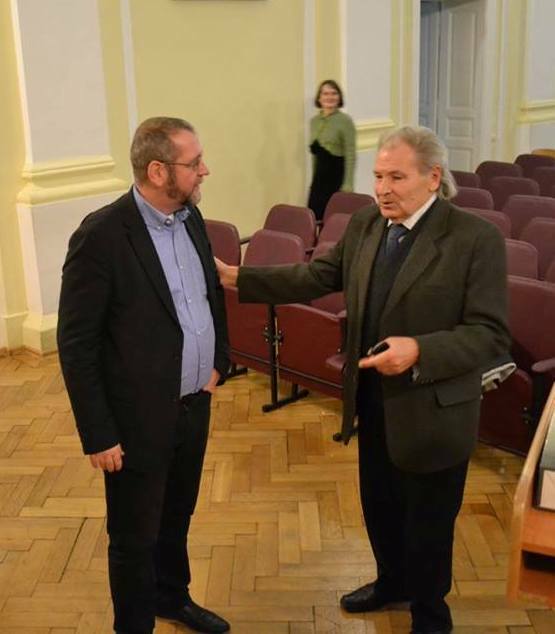 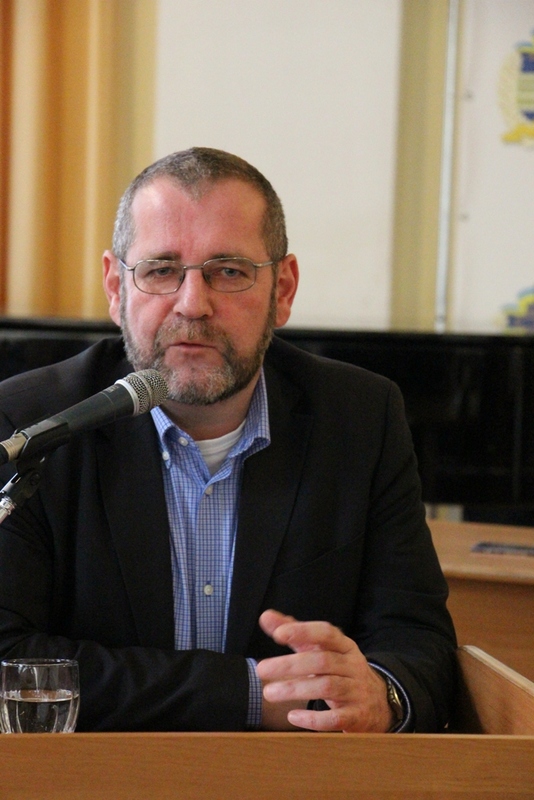 At the invitation of the Austrian Library of the Ivan Franko State Pedagogical University in Drohobych, Michael Moser, professor at the University of Vienna, a well-known Austrian Slavist, and the president of the International Association of Ukrainian Studies, the winner of Ivan Franko 2017 International Prize, author of monographs and many articles and reviews, Honorary Doctor of Taras Shevchenko University came to Drohobych. 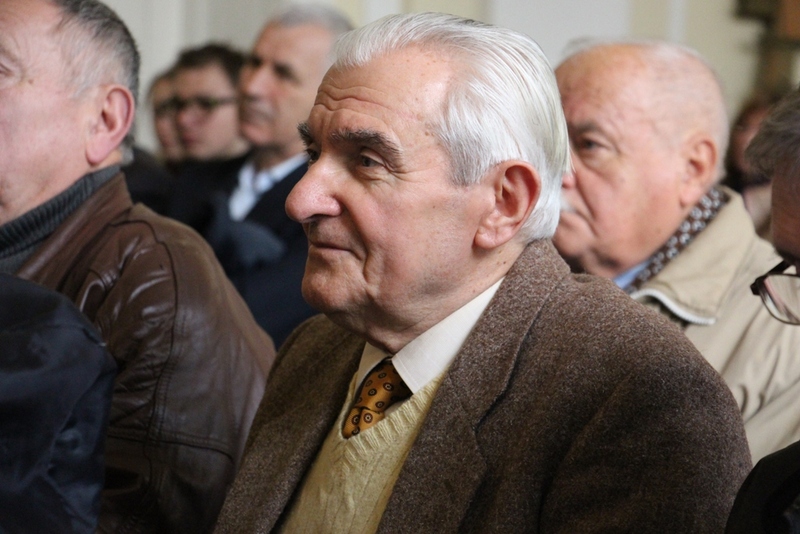 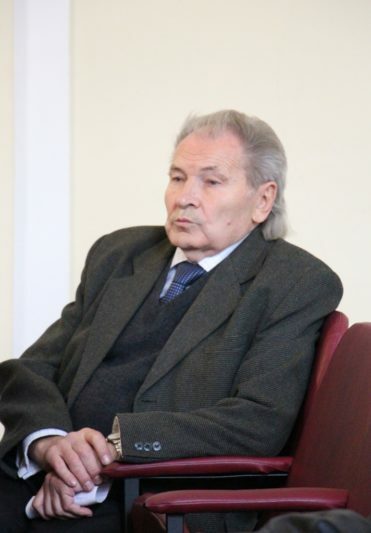 The purpose of his visit was a series of lectures, scientific meetings and discussions on the problems of the history of the Ukrainian language, Austrian-Ukrainian linguistic and cultural contacts, modern language policy in Ukraine, etc. 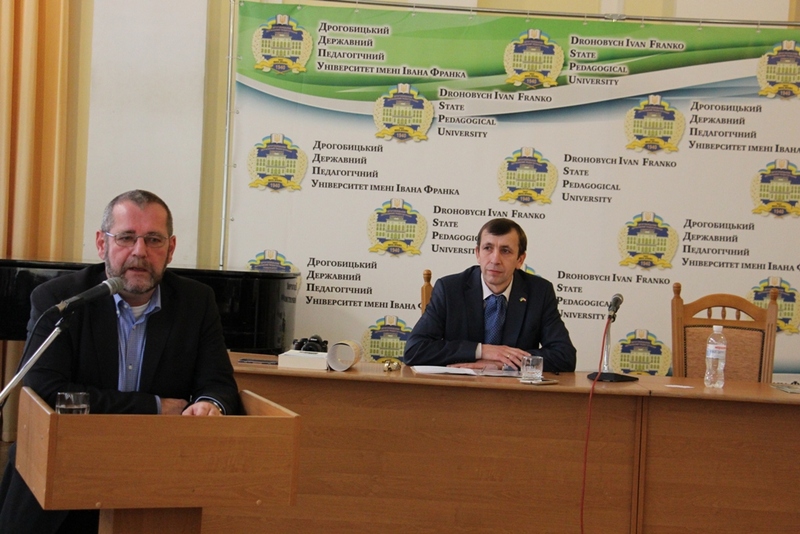 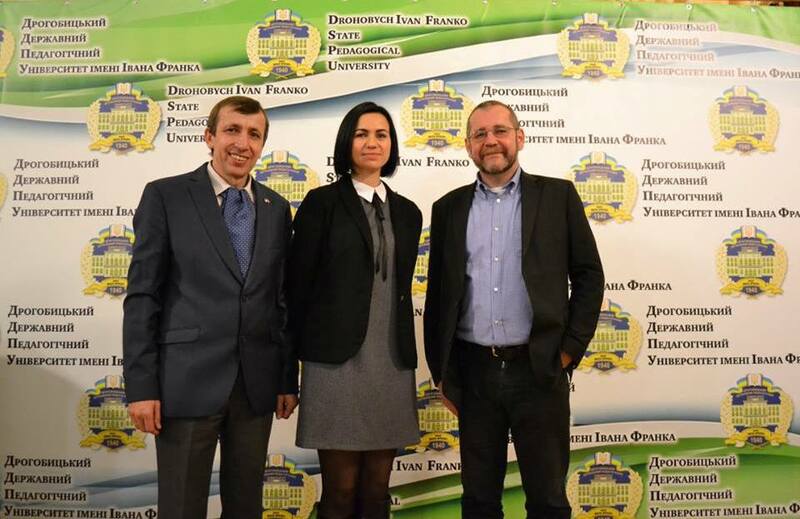 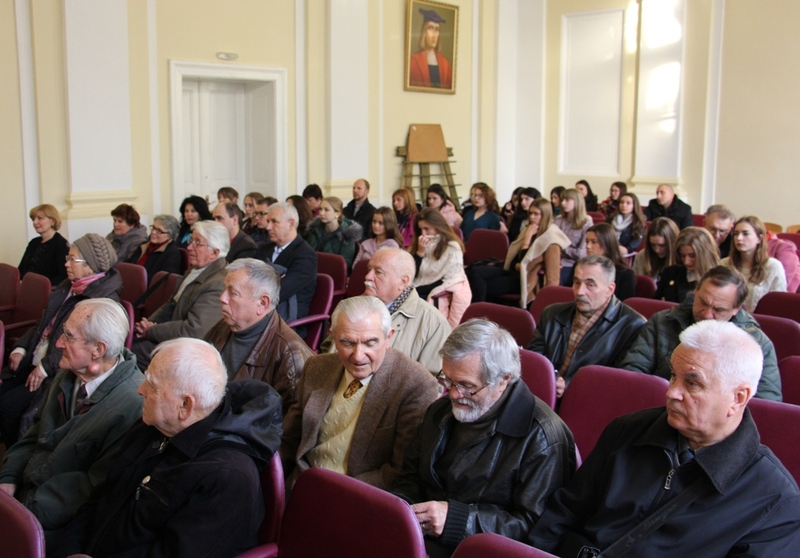 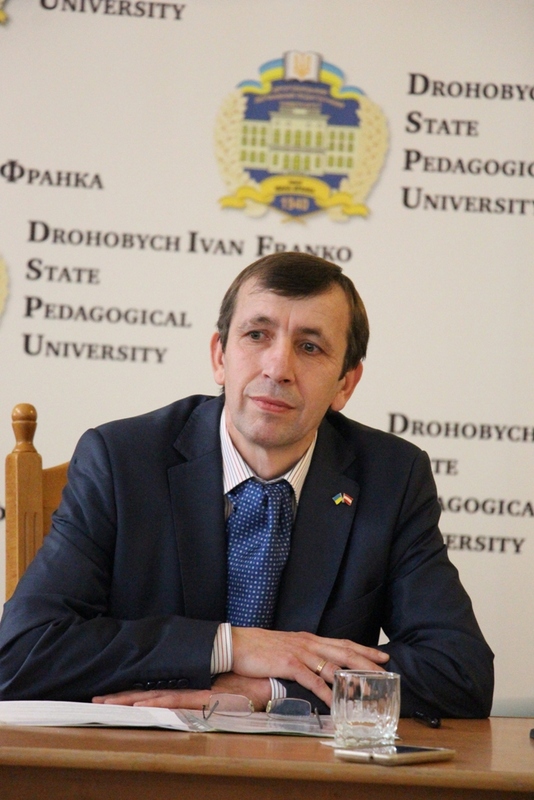 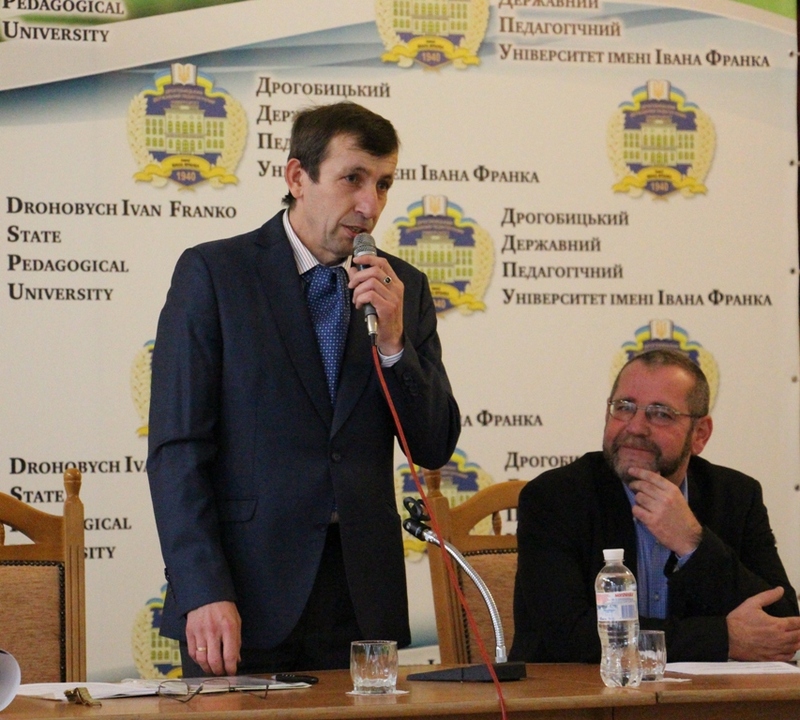 On October 30, 2017, his first public lecture on “The Galician Populists and their Importance for the History of the Ukrainian Language” took place in the assembly hall of the University. 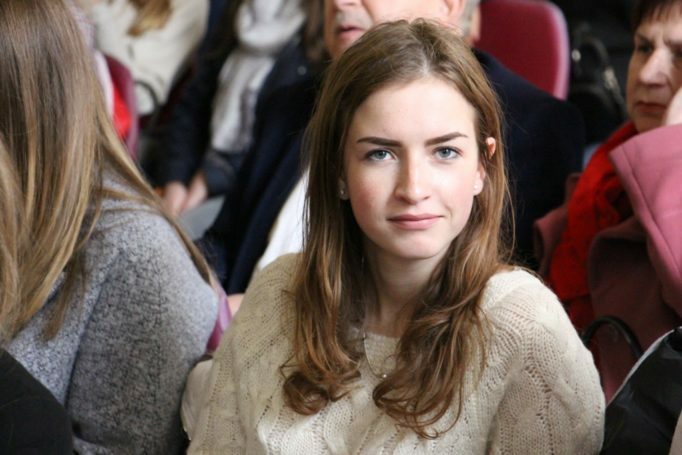 The meeting took place in a wonderful atmosphere, where guests could not only hear an interesting lecture, but also ask questions. 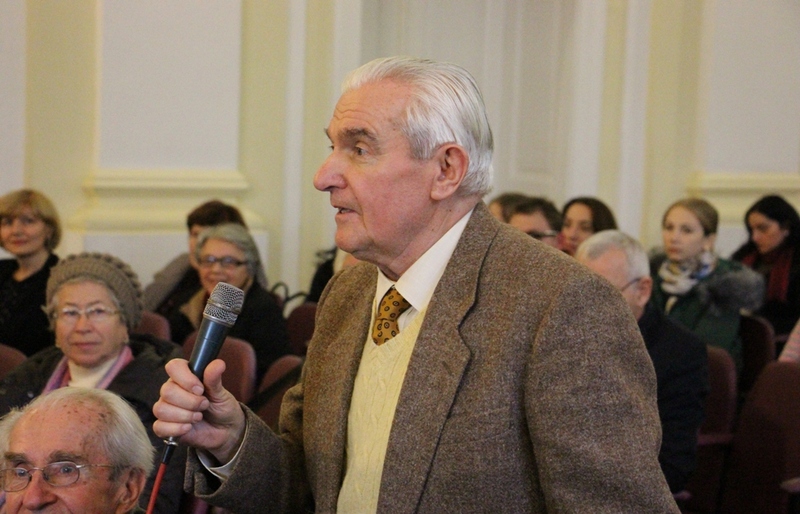 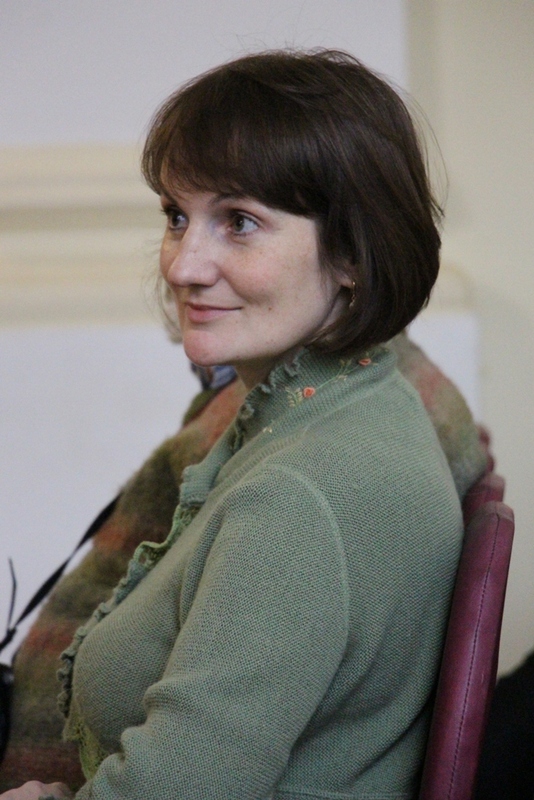 The moderator of the event was Associate Professor Yaroslav Lopushansky.